I'm trying to make a motorized boat for a competition, and I was wondering if anyone else here has ever made one. I'm looking for any tips/suggestions regarding waterproofing, propellers/paddles, steering, and how how well IR RC works on water. 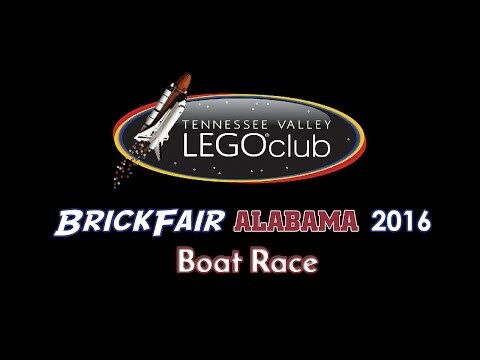 Haven't done it myself but based on two years of watching the boat race at BrickFair Alabama I would say paddle wheels and SBrick. Good luck! And then add in the current hulls in the likes of 60095, 60109, and 60129, which are not tagged in that way. Can anyone tell me about how fast the boat motor goes? And how fast it can move a boat. I think people generally use a power functions motor, or two, or...actually I'm not sure how many more you could hook up. Apparently there is an old RC motor that's more powerful if you can get a hold of it. The spinner from the Ninjago flyers looked like such a great idea but it wasn't as fast as the paddle wheel even before it started overheating. Yeah, LEGO made two different kinds of boat motors a few years back. I think the airjitzu is also a great idea- I think that guy's problem is that he only has one, for such a large boat. The Airjitzu things are big, fitting two on would be a whole other issue but it also overheated the motor so it kept stopping in the final. If you had to run the boat more than twice I assume that would only get worse. 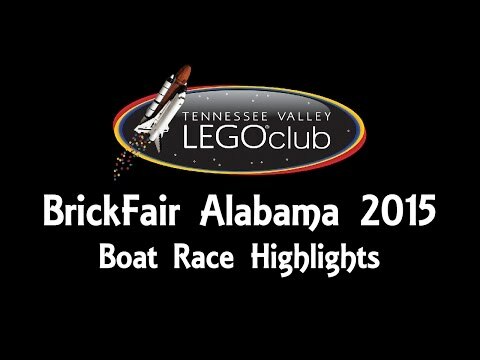 I believe the boat in the third heat in 2016 had the buggy motor, the one with the Technic panel paddles. It was hastily built the night before and got swamped by it's own splashes but I think it would be worth looking at too. You two have almost got me interested enough to enter next year, if only to finally take my husband's SBrick out of it's package :). ^ You should totally enter. I have had more fun planning and building my boat than I usually have when making other MOCs. A lot of the fun is in deciding the size of the boat and what you will use for a hull and propulsion. I was really tempted to use a pair of Toa canisters and make a raft out of that. Exo force had a fan type part on the back of a minifig mech set. Could perform like a mini underwater propulsion system perhaps. ^ I know about that part- thing is, it's the absolute worst propeller out there. The two blades (the large inner one and the smaller outer one) point in opposite directions, so you're trying to move both forwards and backwards at the same time. Fair enough, I haven't checked it, just remembered I had one in a draw. Yeah. I tried to use the six-bladed propeller from Atlantis, before realizing that it only had a pin connection, not axle. Got me interested too :) would 4751b work ? It has a pin connection, but with 2x2 round plates or bricks an axle can be fitted. It might- I do have one, but it seems somewhat inefficient. If I'm going with a propeller, I would probably want to use the biggest one I could find. Actually, I think I'll try that one and compare it to an airjitzu.